Have your children started school yet? Mine will start later this month and I’m already getting our meals and home organized. I don’t know about you, but I usually find myself scrambling trying to come up with snack ideas for the kids when they get home from school. Not only does the snack have to taste good (picky kids anyone? ), it also needs to help carry them over to dinner time and through their sports practice. 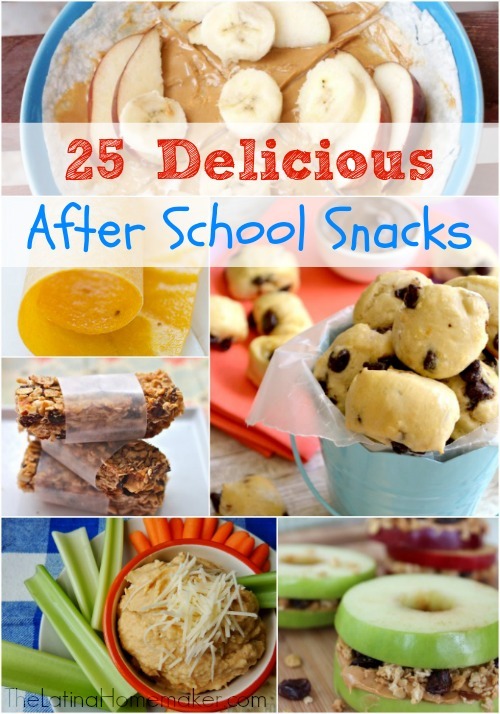 So I’m super excited to be sharing this round-up of delicious after-school snack ideas that will hopefully help you this upcoming school year. Enjoy! What are some of your favorite kid-friendly snacks? Do you have a hard time coming up with ideas like I do? I would love to hear from you! 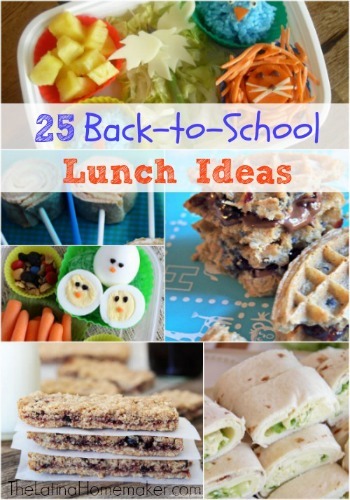 Need school lunch ideas? Check out the following!